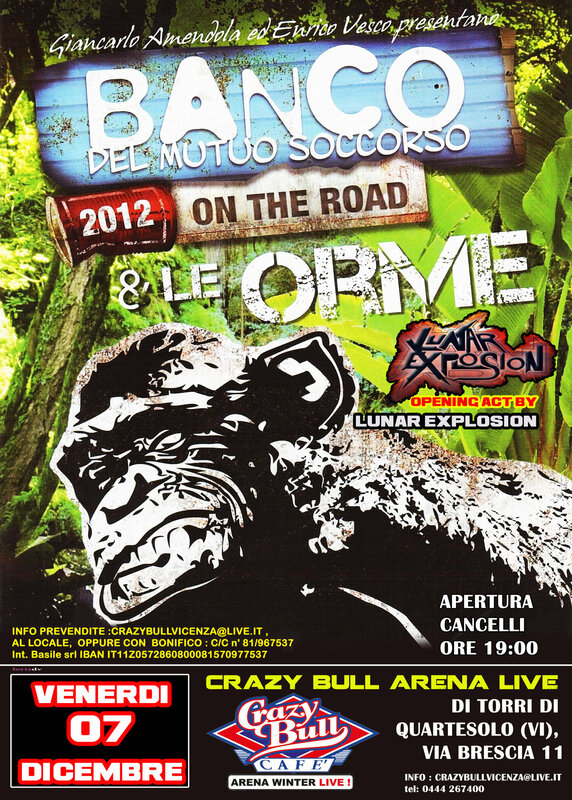 On the 7th of December 2012, Lunar Explosion will open for the most important bands of the Italian school of progressive rock: BANCO DEL MUTUO SOCCORSO and LE ORME. These two bands are known as the best Italian bands together with PFM and AREA. This concert will be in Crazy Bull Arena Live, with a capacity of 1,500 people, Via Brescia 11, Torri di Quartesolo (VI), Italy. Lunar Explosion have also launched their new website with an English language option. Check it out! Lunar Explosion features Pickboy artist Mattia Sisca on guitar.